Guinness t-shirt is a black design that features the extra stout label. This Guinness t-shirt is available in limited sizes. 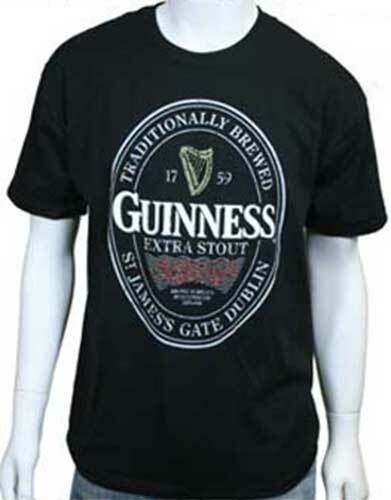 The Guinness t-shirt from The Irish Gift House is enhanced with a multi color Guinness extra stout label. The black Irish t-shirt features 100% preshrunk cotton.